Size: 20m² Internal view Room Please note that this room type does not offer any view. 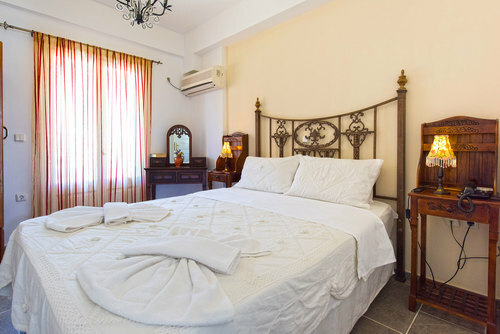 Room size 30 m² Studios have a kitchenette suitable for breakfast preparation. Please note that this room type does not offer any view. 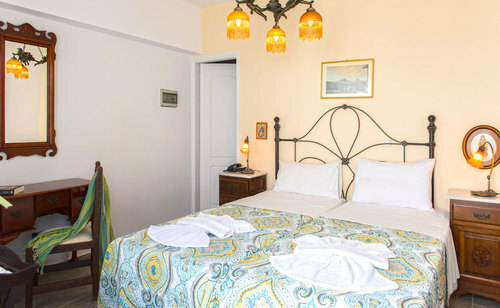 Room Size 28 m² This classically-styled room opens out to a furnished balcony overlooking the surrounding mountains. It comes with air conditioning, TV and fridge. 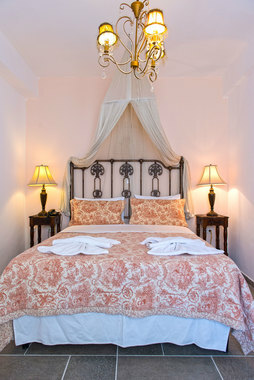 Room Size 16 m² This classically-styled room opens out to a furnished balcony overlooking the surrounding mountains. It comes with air conditioning, TV and fridge. 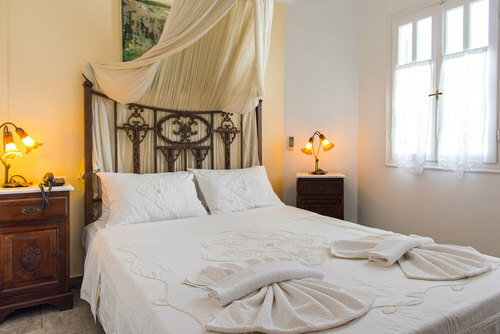 Room size 18 m² This classically-styled room enjoys partial views over the Aegean Sea from its balcony. It comes with air conditioning, TV and fridge. 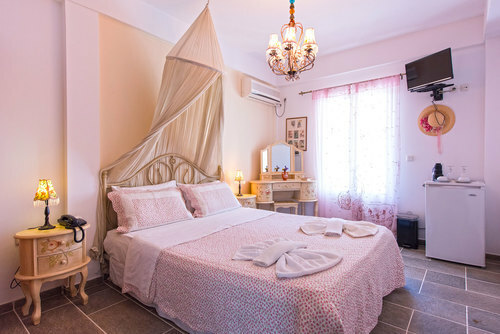 Room size 40 m² Family studios have a kitchenette suitable for breakfast preparation. 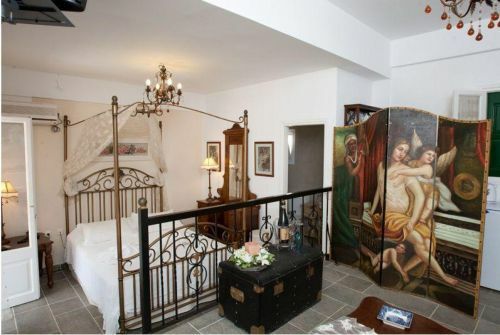 Please note that this room type does not offer any view. 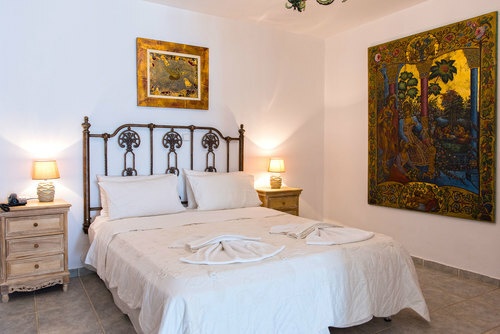 Apartment size: 30 m² Apartments have a kitchenette suitable for breakfast preparation. Balconies offer side views of the sea. 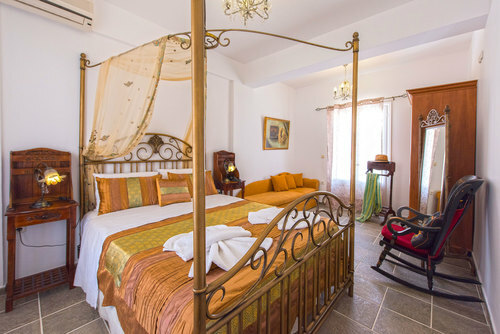 Room Size : 35m² The Superior Suite has a balcony with partial views of the sea, and a luxurious bathroom with walk-in jet shower. 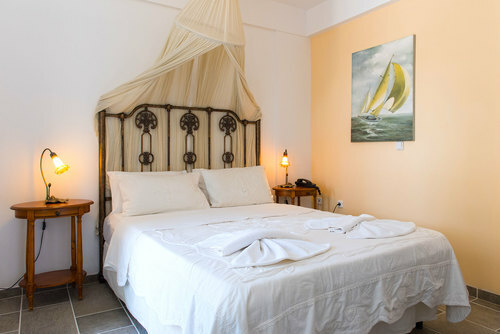 Room size 22 m² The suite has a large balcony with partial views of the sea, and a luxurious bathroom with walk-in jet shower.